One artist breathes new life into old books turning it into amazing sculptures of various people and fictional characters. Pennsylvania-based artist Jodi Harvey-Brown has magic hands that can turn old books into these extremely fascinating sculptures to convey a story. Like pop-up books, Jodi’s creation looks as if like they are coming to life. 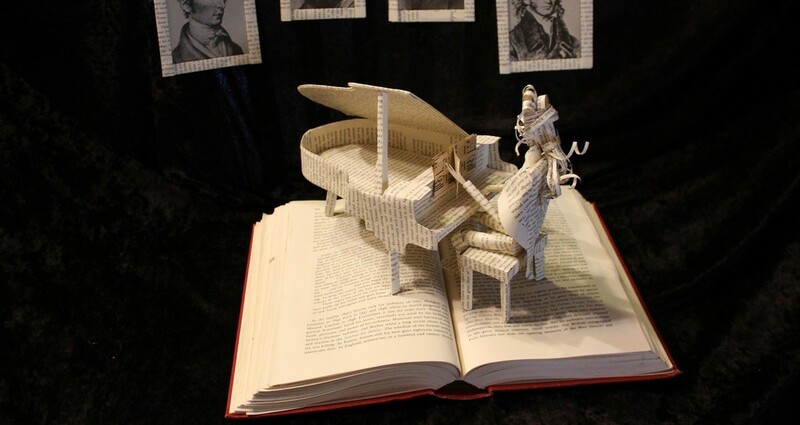 Jodi started making these beautiful book sculptures when she got hooked from folding one of the pages of a used book from a second-hand book shop. After working on a couple more of pieces, Jodi was convinced by her husband to show her works in an artist community website wherein her work was well received. From there on Jodi did not stop creating, her work now spans from fictional characters such as Tom Sawyer to known authors such as Mark Twain. All of her book sculptures are crafted by hand and when it is done, Jodi uses UV finish to protect it against the sun and moisture. Please check her website for her other amazing sculptures and to know more details on how she makes them. You can also follow her on Facebook. You can also purchase her beautiful works which available on her Etsy shop. Were you inspired by Jodi’s book sculptures? Do you have any lovely suggestions for us to feature? Let us know through the comments box below. You can also hit us up on our Facebook, Twitter and Google+ profiles. Lastly, our RSS Feeds is open for subscription so that you can stay up to date on the latest design trends and art inspiration.